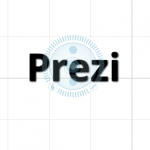 In this guide you will get an introduction to, how to use Prezi. Prezi is, once you get started, very easy to use. First you must have a profile on Prezi.com. Er du underviser eller elev/studerende, it is free. Choose the package named Edu Enjoy, and create your profile with the e-mail address you have been assigned by the school. After you have created your profile, klikker du på ‘New Prezi’ under fanen ‘Your prezis’. You must then provide your prezi a title and if applicable. en beskrivelse. Herefter skal du vælge en skabelon. At first it might be a good idea to choose ‘ template Blank ’. Du kan nu gå i gang med at lave din prezi. Klik på ‘Start editing’. Det første der møder dig, er dette billede. Ved at dobbeltklikke på teksten, and you will have the opportunity to write. Type a word, that you want to present something about, and click OK.
You can then click the word once. Derved får du vist editor-knappen. Editor-knappen giver dig mulighed for at ændre din tekst på flere måder. By clicking on the pencil icon in the bottom right corner, you will have the opportunity to change the text. You can, among other things,. skifte farve og teksttype og lave punkt-opstilling. Plus og minus-knapperne ændrer størrelsen på din tekst, and by grabbing the edge of the Editor button and dragging, you can rotate your text. 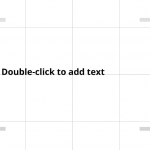 By scrolling with the mouse, you can zoom in and out of the image. If you place your mouse in one of the letters in your word and zoom in, you can use this letter as the background for your next word. 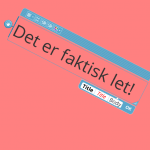 You insert your next word by clicking with the mouse, når du har zoomet så langt ind at dit første ord er “falmet” ud af fokus.You can insert as many words as you want, og du kan også indsætte billeder og videoer (punktet ‘Insert’ i menuen i øverste venstre hjørne). Now you can connect your two words in a presentation. I øverste venstre hjørne har du en menu. Klikker du på ‘Path’, får du mulighed for at oprette en ‘sti’ gennem din prezi. Start with zooming out so that you can see your first word, and click it. Then Zoom in on your second word, and click it. Zoom out again, and then once again click your first word. On the left side of the screen a list of the images is displayed, som indgår i din ‘sti’. Here you can move them around and. delete any of them. 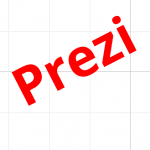 You can edit your prezi by clicking Edit prezi ‘ ’. Insert new words, change colors, og ryk rundt på billederne i din ‘sti’. Når du er tilfreds, kan du dele din prezi med andre ved at klikke på ‘Share’ og kopiere linket – fx til en e-mail. You can also embed it in a blog or a website. 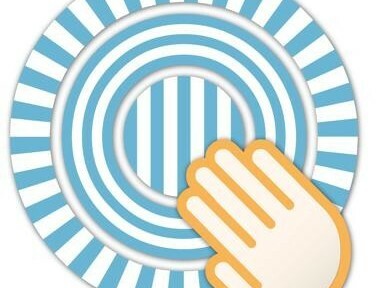 Finally, you can download your prezi so that you have it on your own computer, and can run it independently of, whether you are connected to the Internet. 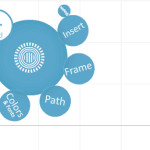 If you want to collaborate with others on your prezi click ‘ Edit together ’. You will then be given a url you can share with 10 others. The people you share the link with, can edit your prezi, and you can always see who makes what changes.